This complete tote/bulk container cleaning system utilizes our patented rotary impingement technology designed to blast residue from the container interior, in a precise, global indexing pattern. Our 100% guaranteed cleaning technology ensures the entire bulk container is thoroughly cleaned in the most efficient manner, utilizing the least amount of resources including: time, energy, and wash fluid. 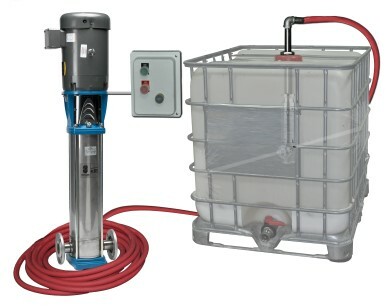 The Toteblast Station comes equipped with everything you need to set up a tote cleaning system.